Q: Which issue of Detective Comics did Batman make his debut? Closing date is the beginning of Sat 30 April 2019. 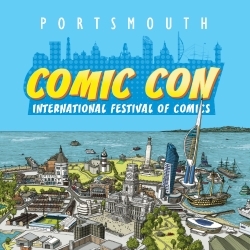 Winners must be able to attend the Portsmouth Comic Con on 4 and 5 May 2019. There will also be a steampunk zone focusing on War Of The Worlds, a zone with classic video games and a number of exhibitions celebrating Batman’s 80th birthday, the art of Game Of Thrones showcasing Will Simpson’s concepts and a selection of Marvel art too. There will also be a Back To The Future DeLorean, a panel celebrating the life of comics legend Stan Lee and much more. There will something for everyone interested in comics, film, TV and genre at the show.